We have provided pre-referendum services on over 60 K-12 projects with budgets ranging from $3 million to $119.5 million. The following lists the services typically provided during the pre-referendum phase. Develop preliminary project milestone schedules. Identify key project activities including design, bidding, legal, and financial. Milestone dates will be established and responsibilities of team members identified. Assist architect/engineer to complete facility evaluations during planning stage. Assist architect/engineer and the District with educational programming. Assist/facilitate decision making on grade level configurations and space allocation. Assist the District in defining parameters of project to assure that programming needs and budgetary constraints are aligned. Provide conceptual and schematic estimates as a tool to guide project decisions. 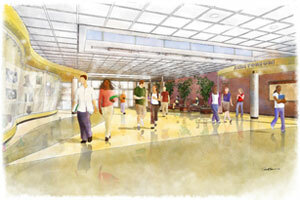 Provide budgets for schematic designs that include incidental costs. Advise on planning infrastructure and hardware purchases. Review alternate construction methods and materials to reduce lifetime costs while maintaining or enhancing quality of the project. Campus CMG’s familiarity with the newest construction materials is critical at this stage. Generate cash flow projections to assist financial consultant/District in maximizing investments. Assist the team in securing the most state aid available for all components of the project. Assist the District with the development of an action plan and strategies for a successful referendum and attend public meetings as required.